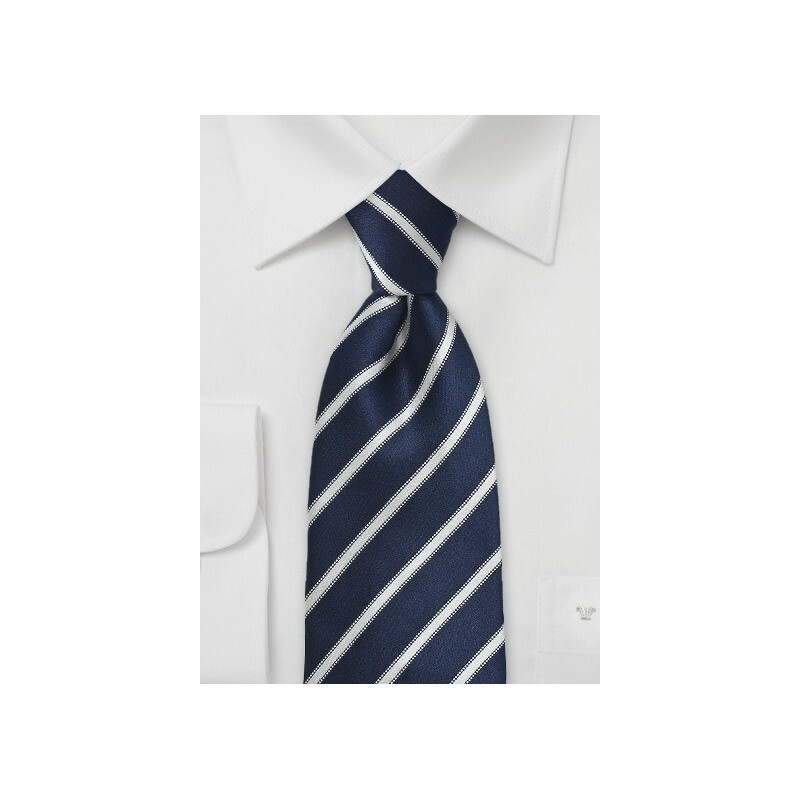 Set yourself apart with this modern and elegant bright royal blue and ivory striped tie by Parsley. Both elegant and stylish, this necktie suits business as much as leisure. A perfect piece for any man's wardrobe, this necktie is versatile and easy to match to all classic suit and shirt colors. 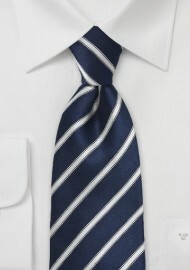 Our tip: Pair this tie with charcoal suit, white shirt, and a white and blue striped handkerchief. Made from 100% silk in XL length for taller men.